March Property sales were 9, up 80.0% from 5 in March of 2017 and 50.0% higher than the 6 sales last month. March 2018 sales were at their highest level compared to March of 2017 and 2016. March YTD sales of 23 are running 15.0% ahead of last year’s year-to-date sales of 20. 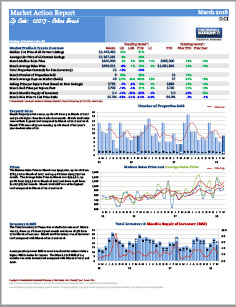 Contact the agent to get more information in Solana Beach Market Action Report – March 2018 area.